Media Links “Media over IP” technology helped transport UHD and 3G content for this year’s World Cup tournament. Since the company’s founding in 1993, Media Links, based in Kanagawa, Japan, has delivered carrier-class contribution media transport solutions that adhere to recognized broadcast television standards and expectations. These solutions utilize Ethernet/IP packet transport and switching and have been deployed in many of the world’s most high profile sporting and live television events. 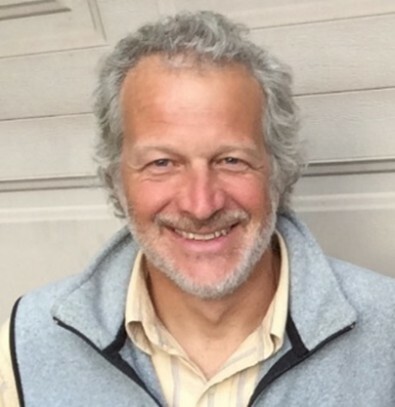 Active participation in standards organizations like SMPTE and VSF have helped to shape its MD8000, MDX, and MDP product lines while remaining focused on delivering evergreen, standards-based technology that can readily adapt to new/evolving technical and customer requirements (e.g., 4K UHD, HDR, SMPTE 2110, SDN, etc.). TheBroadcastBridge.com sat down with John Dale, Chairman, CEO and President of Media Links, to discuss the immediate and long-term future of the broadcast industry and how technology is changing to meet emerging demands critical to broadcasters’ business-model success in today’s highly competitive environment. He predicted that the market would see an inevitable migration to video-over-IP infrastructures over the next 3-7 years. “Those customers that currently operate SDI infrastructures need to come up to speed with media over Ethernet/IP networking technologies,” he said. TheBroadcastBridge.com (TBB): Many media organizations are considering migrating to an Ethernet/IP based infrastructure. Is this the best short-term strategy for a large media company that wants to get its content to different regions and different platforms simultaneously today? John Dale: Customers must balance their short-term tactical needs against the backdrop of their long-term, network-wide architectural goals. In the case of Ethernet/IP infrastructure, the good news is that these objectives are not mutually exclusive. Ethernet/IP is particularly good at creating a common shared studio/LAN/WAN architectural framework, so that traffic sourced from different regions can be easily sent anywhere in the network. Several of our customers operate hybrid SDI and IP networks and are planning towards total Ethernet/IP connectivity over time. Media Link’s Dale says that the worlds of broadcast video and IP networking are quite different and this learning process takes investment, commitment, and time. TBB: What’s the biggest misconception about video over IP? Dale: Ethernet/IP infrastructure is increasingly being used for both LAN and WAN applications, mainly transporting both real-time and near real-time media content as well as low latency data. These systems still need to interface to other infrastructure via SDI handoffs as well as Ethernet/IP interfaces. In this hybrid application, Ethernet/IP infrastructure is still more complex and expensive than an equivalent all-SDI infrastructure. The combination of switching capability and interface gateways causes this relative cost increase. Operations teams need to be proficient in both SDI and Ethernet/IP technologies. There are also security concerns that do not exist with all SD infrastructure and expertise and sound practices are required. However, this single infrastructure is capable of handling all media, real-time or non-real-time as well as low latency data needs while also being flexible to accommodate future image enhancement format changes. It may also facilitate new more efficient non-SDI workflows, which simply cannot be accomplished in the SDI domain. Additionally, Ethernet/IP infrastructure can easily scale to 100Gb and beyond via a single fiber connection. With high utilization, the cost per video flow, including much smaller cabling infrastructure is lower while network capacity, geographic reach, and scalability is higher. Media Links is rolling out a new line of 100G media switches that will further reduce port and bandwidth costs while increasing network capacity. More and more of our customers are also asking for SMPTE ST-2022-7 media route failover protection and this same service for low latency data. Applications requiring these functions are live sports coverage and Remote Production. The tipping point for a specific organization/group to migrate to Ethernet/IP infrastructure will depend on where they are in their current asset depreciation calendar and how much more effective the new workflow will be. It is a business case model. When positive, then that organization/group will be motivated to change. Our expectation is that the market will see gradual migration over the next 3-7 years. TBB: What do broadcast service operators and engineers need to successfully transition to an IP infrastructure. What are the challenges? Dale: Those customers that currently operate SDI infrastructures need to come up to speed with media over Ethernet/IP networking technologies. Technically speaking, the worlds of broadcast video and IP networking are quite different, so this learning process takes investment, commitment, and time. It can be a challenge to find employees who understand both technologies with equal measure. Additionally, there are many standards-based and proprietary solutions on the market. Many of which are not 100 percent production ready. It is still very early in the solution development and standards are still evolving and being formed. An understanding of the specific application and technology is required. The robustness that Ethernet/IP and ST-2022-7 offers is great, but these protocols place an additional burden on network trunk and backbone capacity if used. Once the network goes live, network operators and managers need to be very comfortable with available network management systems and troubleshooting tools to quickly identify and resolve service related issues. Regular capacity monitoring and planning helps customers avoid bandwidth bottlenecks and long circuit turn-up lead times. Using TICO compression, the Media Links MDP3040 is a dual-channel 4K UHD edge broadcast encoder/decoder (IP Gateway) that converts incoming 12G-SDI video signals into IP encapsulated 3G-SDI streams that can be sent over a WAN or studio LANs for decoding at the far end. TBB: You make a series of gateways. Is this a good first step to IP? Why? Dale: The use of gateway products such as the MDP3020 or the MDP3040 is a great way for customers to gain experience with Ethernet/IP equipment, protocols, standards and software without making a large technical or financial commitment. These products currently function in SDI to Ethernet/IP capacity or in the case of our MDP3040, SDI to SDI as well. They operate with “composite” IP stream outputs, ST-2022-2 or ST-2022-6, where all elements of the content are included in a single Ethernet/IP stream. They include FEC and ST-2022-7 protection switching. They have also been designed to allow software upgrades for future capability including discrete IP streams where video, audio and ancillary data are transported as separate streams (ST-2110-20, -30, -40). They can be deployed in a point-to-point configuration or connected to more elaborate/complex topologies through our MD8000 transport and MDX switch equipment. The MDP3020 supports up to four protected video, audio, and data channels while the MDP3040 supports two 4K UHD channels. Both units are compact and portable, making them easy to redeploy at different sports events and venues. TBB: When you discuss “Media over IP transport technology”, can that include fiber, satellite and bonded cellular links? Dale: Media Links’ solutions have been primarily targeted for applications over LAN or WAN fiber systems or layer-2 packet networks. Media is typically transmitted without compression coding, with JPEG2000/VSF TR-01 coding, with TICO coding or with H.264 coding. As such, the quality of the transmitted signal is high, the latency of the transmitted signal is low, however, and the required bandwidth is more suitable to fiber networks.We do have a small number of applications over satellite facilities. 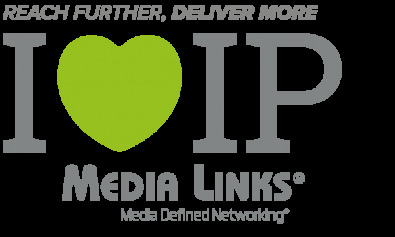 TBB: Media Links has added TICO compression to its new MDP3040 IP Media Gateway. Why TICO and not another codec? Dale: There are a number of compelling reasons why Media Links chose TICO compression for its new MDP3040 IP Media Gateway. Since the MDP3040 supports 4K UHD, we selected a visually lossless compression algorithm that enables us to fit multiple incoming 12G SDI channels onto a single 10G trunk. For in-studio infrastructure and Remote Production, this low latency application is well suited. TICO coding offers extremely low latency, down in the microsecond range. TICO readily supports RTP mapping for SMPTE ST-2022 or 2110 allowing it to satisfy customer needs in both a composite and discrete network environment. Lastly, the TICO Alliance now has more than thirty members, ensuring that products from different vendors that use TICO compression (SMPTE RDD335) will interoperate well with each other. Media Defined Networking describes combining IP transport technologies with Media Links’ latest Agile-IP architecture to deploy flexible, reconfigurable and scalable IP workflows. TBB: In its marketing materials, Media Links talks about sending real time video, audio, non-real-time video and audio as well as file and data to and from the network edge. Why is this strategy a good one for content distributors? Dale: It’s not enough to be able to transport real time media (video, audio, and meta data) together with non-real-time media and file data or generic data concurrently from the edge to the production center. We use the term “Media Defined Networks” to describe how our equipment is optimized to handle each of these different QoS flows independently and reliably. Within the transport network, we can prioritize these traffic types to ensure that prioritized flows always have guaranteed bandwidth and no congestion. We can provide high priority, seamless/hitless protection switching and FEC for any of the content types as needed for the application. We can also provide a best effort class for lower priority traffic. TBB: How much demand do you see for 4K/UHD from your customers? Is it being embraced widely? What about the added cost? Dale: HD, 720p, 1080i are still the most widely utilized. We are starting to see some transition from 720p to 1080p and a small amount of 4K UHD applications especially where there are conduits to provide that content to the viewing community. Our MD8000 products were used extensively in the 2017 Winter Games in Korea and the 2018 World Soccer games in Russia and provided transport of 4K camera feeds to various broadcast centers across the globe in addition to HD video services. Uncompressed 1080P HD and 12G UHD signals require significant bandwidth that taxes networks trunks and backbones, so customers are looking at a combination of compression and next generation edge, aggregation, and core 100G IP switches to handle this higher bandwidth. While 4K support was initially expensive, costs are coming down, especially with the advent of lower cost media-specific switches and new 100G Ethernet Metro and WAN services. TBB: Describe the large-scale project you were involved in at the World Football games in Russia this summer. How was the signal flow set up and how did it work? Dale: Our participation in the 2018 World Football games was very successful. Our equipment was deployed in each of the 12 main stadiums spread across Russia and transported back to the International Broadcast Center (IBC) in Moscow. Each stadium delivered eighty-five 3G/1080i signals as well as eleven 4K UHD feeds. From the IBC, several more chassis were used to transport live feeds back to the US and Latin America. For some matches, a Japanese broadcaster used ASI streams for 8K transmission back to the IBC. We also saw a significant uptick in hitless data traffic; our portable MDP3020 units were used at each stadium to control centralized slow motion replay servers being played back from the IBC. TBB: Media Links uses a term called “Media Function Virtualization (MFV)”. What is this and how does it work? Also, how is it different than the “Network Function Virtualization (NFV)” concept promoted by other companies? Dale: Media Function Virtualization relies on the fact that network endpoints and control systems are getting more intelligent. Auto-sensing inputs, for example, can automatically determine incoming feed types, and then apply the correct coding, encapsulation, and compression without any user intervention. In a switched MFV environment, “any to any” connectivity implies that source and destination ports must conform to specific interoperable parameters, otherwise traffic cannot flow. In a more targeted example, interface hardware becomes general purpose; the personality of a port is changed prior to the event or sport season start simply by downloading new microcode to that port. This eliminates the need to install an assortment of line cards in each chassis just to handle specific video signal formats. Media Function Virtualization is similar to Network Function Virtualization except that it goes beyond setting network parameters dynamically to include setting media (video, audio, and data) specific parameters. TBB: How long do you think baseband SDI infrastructures will remain a viable option for broadcasters? Can SDI and IP co-exist within the same workflow? Dale: SDI equipment and interfaces have been in use for a long time; most customers are reluctant to replace their existing SDI infrastructure without a compelling technical or business reason. As camera counts and data circuits increase, however, some facilities are feeling a real pinch in terms of rack space, cable management, power consumption and the resulting HVAC requirements. Other consolidated operations are considering the concept of SDI “islands”; where legacy technology is used in areas where there is less processing and access to IP support staff and connecting back to Ethernet/IP infrastructure for high capacity processing and work flows. In this case local SDI islands are connected to dense processing islands via metro or WAN networks as Ethernet/IP flows. Moving from an SDI to an Ethernet/IP-based infrastructure solves these problems by minimizing cable interfaces to equipment and dramatically increasing network transport bandwidth. Ethernet/IP migration eliminates WAN connectivity constraints and can be done in a step-wise fashion, starting at the edge. Customers can retain their baseband SDI routers in the studio until they run out of port capacity or run in a hybrid operation (SDI & IP) and then ultimately upgrade to high capacity core media Ethernet/IP switches.